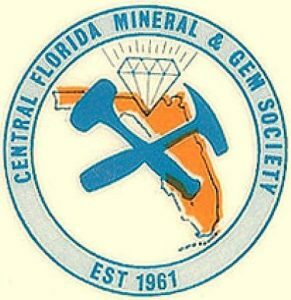 Central Florida Mineral & Gem Society CFMGS – We love rocks, minerals, gems and all things related to lapidary arts. Founded in 1961 and dedicated to sharing knowledge and the enjoyment of rocks, minerals, gemstones, lapidary arts, beading and all things related. Since CFMGS was founded the club has seen various location changes but the love for rocks, minerals and handcrafted jewelry has grown as well as membership. We are located at 6100 S. Orange Avenue in Orlando, Florida. Our workshop facility has cabbing equipment, tools and faceting machines for members. At CFMGS you’ll find classes throughout the year for learning lapidary arts–cutting and polishing cabochons, silversmithing, metal work, wire wrapping, beading and related traditional crafts. Our volunteer instructors and experienced members assist with just about anything having to do with lapidary arts. We welcome walk-in visits for tours of the workshop on weekends. Come by and join today! Ready to join? Download our membership application! Bring the completed application, along with your yearly dues, to our next meeting, or drop it off at the workshop (6100 S. Orange Ave., Orlando, Florida 32809).